Got up about 8:30 today and left the cabin to start off our busy day at Mel’s Diner where I had eggs and pancakes. And then off to Dollywood we go! But first we had to go to Goats on the Roof. Well, it was a shop that had goats on the roof!!! It was a cool little place. Dollywood begins with an old car ride, Dolly Parton’s Museum and closet, and a mini mini little coaster that Peyton and I rode. Then on to the Dollywood Express!!! A large coal train took us up and down a mountain. Next would be the River Rampage. Gramal sitting out on this one everyone got drenched, but mostly a main from Canada that rode with us but Peyton got the least wet of all. Next the Blazing Fury small indoor roller coaster that only Peyton, Audra and I did. 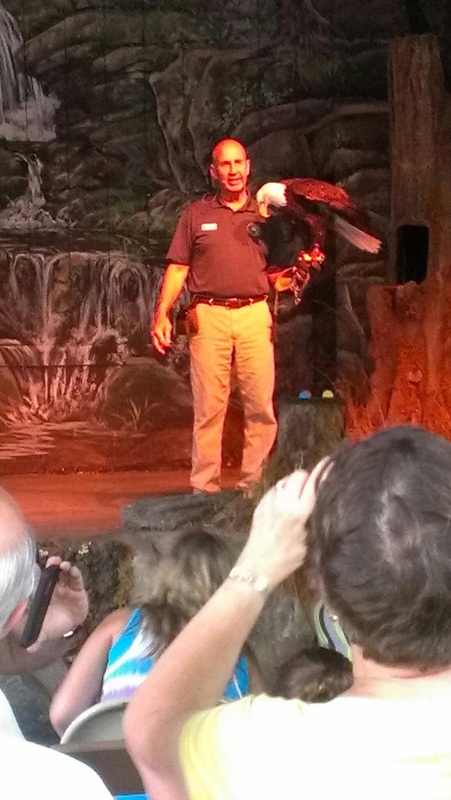 With an awesome bird show to finish up Dollywood. Back to the cabin we go to get freshened up and then did a little shopping and ate at Huck Finn’s. I had chicken and it was reeeallly good. Then everyone minus Audra went to the Comedy Barn at 8:15 and literally LOLed the whole time. Really enjoyed doing that. 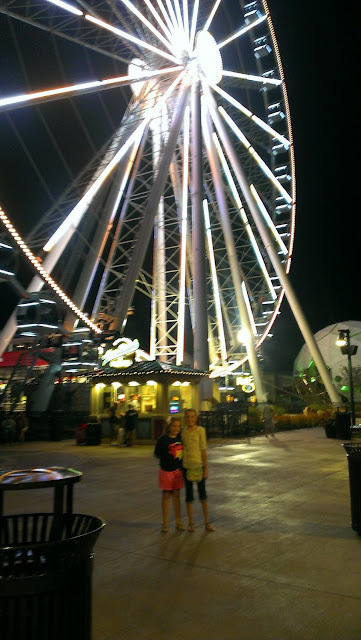 Next Audra and I riding the 200 ft tall Ferris Wheel. It lit up the whole town and was very relaxing because it was air conditioned. A great way to end a very busy and fun day. Side note: Meh is also the sound a goat makes. We started making this noise in the truck and if anyone says “meh” you have to respond “meh” until everyone says it. You get to feed the goats on the roof of this shop by peddling a cup to the top on a conveyor belt powered by a bicycle. I'll try to remember to post a picture of that upon return. I rebelled and went shopping for a lamp and clothes while everyone was at the Comedy Barn. I wouldn't have had that chance if I had gone with them. 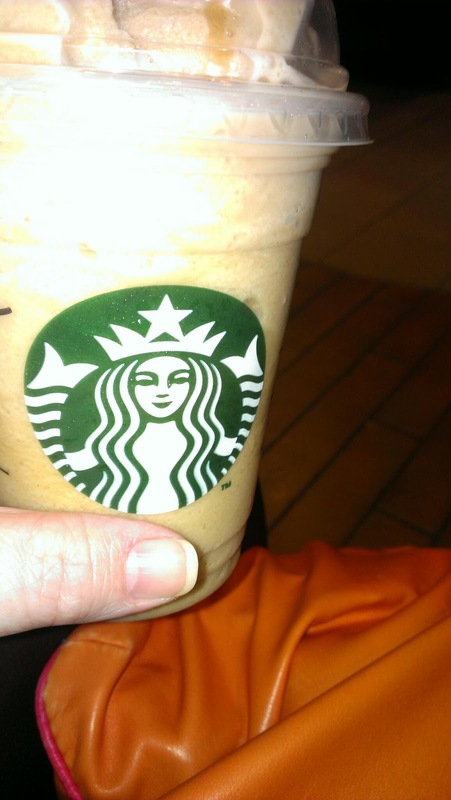 Plus I needed some quiet time and a frappachino. Once we got on the Ferris wheel, I got a bit nervous the first time around which made Paige a little uneasy... I don't know why. I'm fine after that.